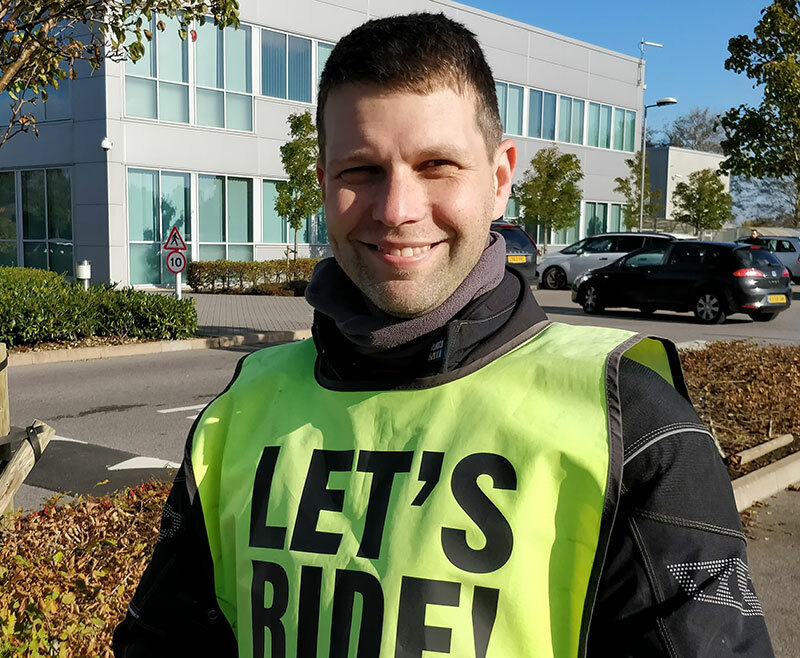 The school's founder and Chief Instructor, Richard has been riding bikes for over two decades, both on the road and in club racing. 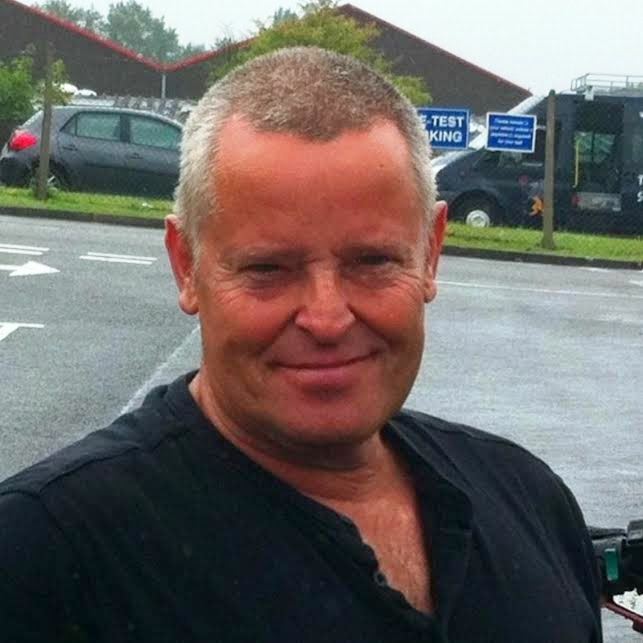 Richard is trained up to advanced riding level and is a qualified DIA Advanced Riding Examiner. Richard spends more time dealing with bookings and the general running of the business these days but occasionally you'll find him doing Module 1 training at weekends. Richard rides a Yamaha MT-09 SP. 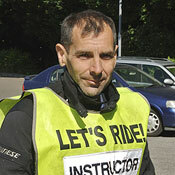 Mark concentrates on Module 2 training for the school and has a stunning first-time pass rate. 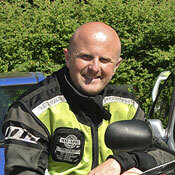 Mark has been riding for many years and is qualified for CBT and Direct Access course instruction. Mark rides a gorgeous Triumph Tiger and commutes all the way from Portsmouth to teach our pupils! Mark also runs his own school - "Wolfies" - when not working for us. Nick brings an enormous amount of experience to the team, having worked with other training schools as well as the police. Nick probably has the most experience of any of us! Nick rides a BMW R1200RT. Greg is barking mad and never stops smiling. You'll find Greg doing CBTs at weekends mainly but on occasion will venture out on the bigger bikes. Greg rides a new Honda NC750X and a rather nice Triumph Daytona.